. 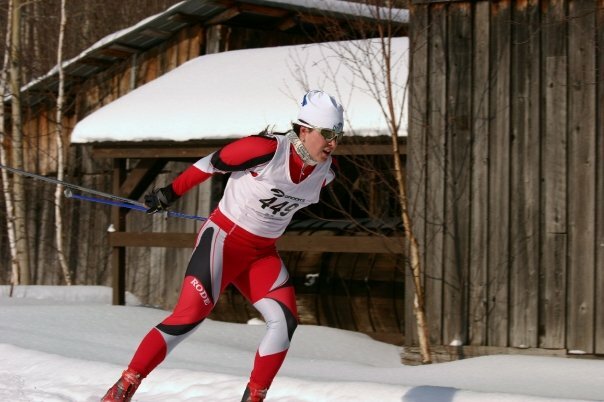 : Haliburton Open Race Report :: Ski XCOttawa.ca :: Skiing in Ottawa and Gatineau Park :. Three of the XC Ottawa ladies were in action last weekend at the second set of Ontario University races, held in Haliburton. We lucked out and had a smooth drive to Haliburton, narrowly missing the blizzard that began while we were checking into our cabins for the weekend. Our Friday pre-ski of the course was soft and snowy in the winter wonderland that is the Glebe Conservation Area. The snow let up on Friday evening but not before leaving a good 8-10cm of fresh snow on the tracks. The course was well groomed overnight but still soft on Saturday, which made for a very fun classic race. Zoe, Lindsay and I all felt that we had good to very good races in Saturday's 5km individual start classic. The results list agreed, showing us in 3rd, 8th and 13th place in a relatively large university field. The Carleton boys also had some really solid results with Chris Mamen and Matthias Purdon claiming first and second in the men's 10km classic. Sunday was another interval start race, this time twice around the deceptively difficult rolling 5k loop for the women and twice around a 7.5k loop for the men. (Karl would have liked this, a weekend of good old-fashioned ski racing!) Just Lindsay and I lined up for this one as Zoe was feeling a bit under the weather (at least she got one good one in!). We layed down two more good races, finishing 3rd and 13th. The Carleton guys also had another strong day with two more podium finishes by Chris and Matthias. The next stop on the Ontario University circuit is Sudbury for the OUA Championships, February 9-10, 2008 and the Carleton team is ready to rock out! Alana Thomas in her Carleton suit, placed 3rd both days! Lindsay Los, racing strong for Carleton. Gatineau Loppet: XC Ottawa 2nd, 3rd, 4th, 5th, 12th and 18th in the Canadian Long Distance Championship race at the 2015 Gatineau Loppet!